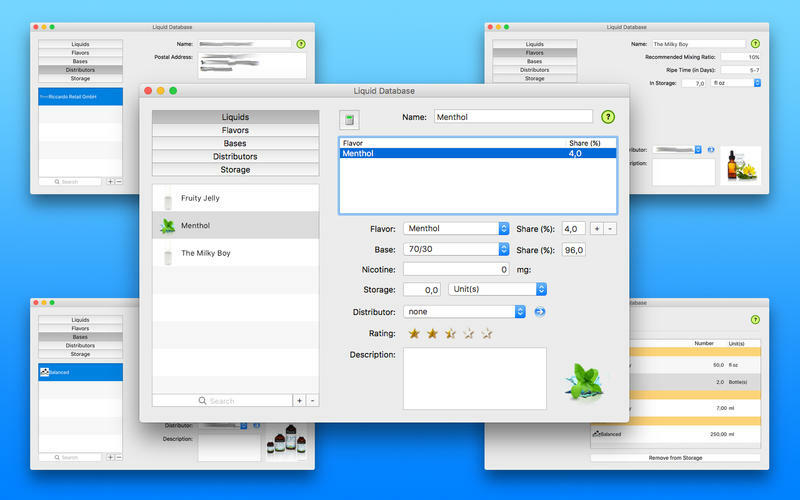 Manage your personal collection of Liquids (Liquid Receipts), Flavours, Bases and Distributors and keep track of your Storage. Just enter your Flavours, Bases and Distributors once and use them to manage your Liquids and your personal Liquid Receipts. 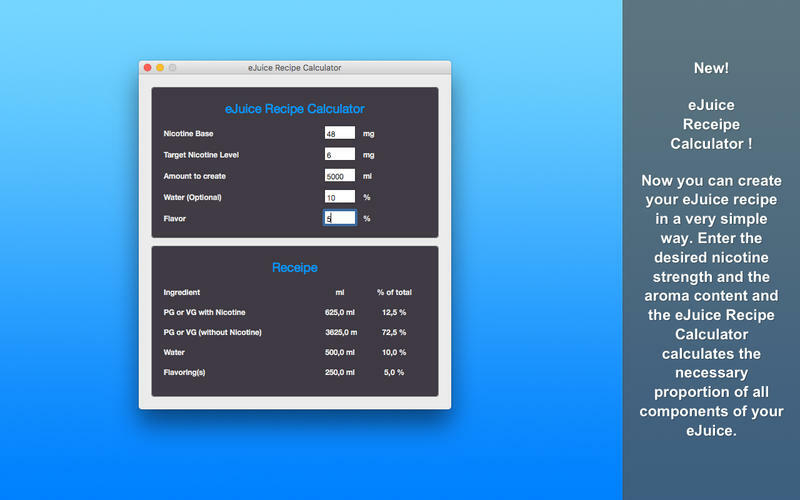 For each Item you can store additional Informations like Flavors, Base, Distributor etc. and a graphical Illustration (Picture) for each Liquid or the share value of PG, VG and Water for each Base and more. 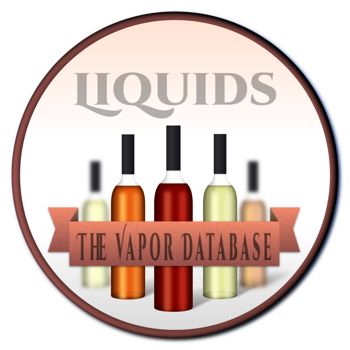 New: Liquid Receipts with unlimited count of Flavors!